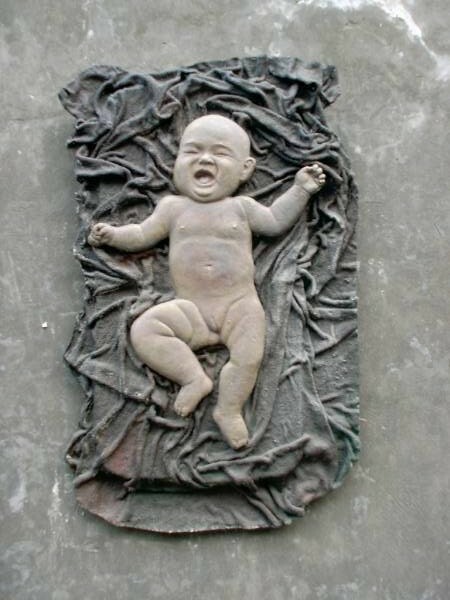 "Craddle Song" , a sculpture of a crying baby, yet again typifies Zhang Yaxi's concerns as a young contemporary Chinese sculptor, woman and mother. Positioned either horizontally on a plinth or vertically on a wall as a high relief, "Craddle Song" can also be commissioned in any size for a public space (hospital maternity ward or other suitable location). Title: "Song of the Craddle"